Last night was quite exciting for the Detroit Red Wings and their fan base as the team managed to win 5-3 over the Columbus Blue Jackets at Nationwide Arena. However, something less exciting took place as veteran forward Thomas Vanek was injured in the first period of the contest, and while it was first believed that Vanek could miss just a week of action, the team later revealed that it would be without his services for the next two-to-three weeks. Red Wings head coach Jeff Blashill said after his team's victory that Vanek sustained a lower-body injury during the game. Vanek appeared to hurt a knee after being hit in the first period. He did record a point before leaving as Vanek set up a goal Tuesday for his fourth point in his last five games. The 34-year-old has two goals and five points wiht a minus-8 rating in 12 games this season. According to the Detroit Free Press, the Wings are likely to call up two forwards following this announcement. "Christoffer Ehn is a likely candidate to be called up, as he played nine games before being assigned to Grand Rapids Oct. 24. Whether a second forward will be needed depends on Andreas Athanasiou. He missed Tuesday’s game because of an undisclosed injury, but could be available Thursday." 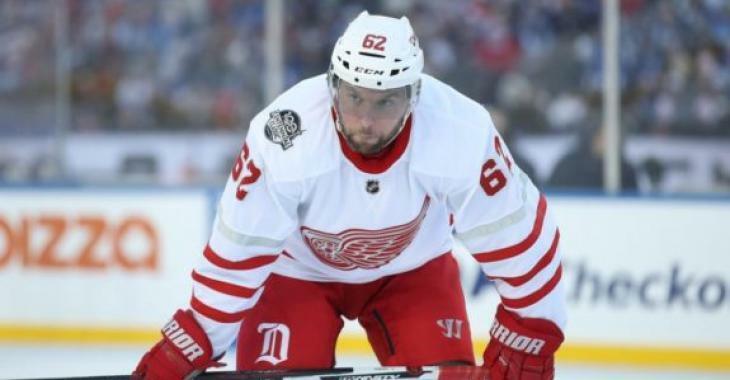 Vanek and the Red Wings agreed to a one-year, $3 million contract in July, for his second stint with the team. In all in the NHL, Vanek has recorded 359 goals and 758 points in 977 career games.